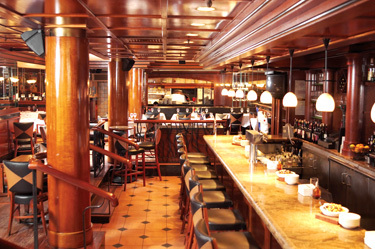 Papa Razzi brings Italian cuisine to life with an eclectic mix of classic Italian dishes and signature specials. All the dishes are made-to-order using only the freshest ingredients available, including the best cheeses, olive oil, vegetables, meats and seafood. The Papa Razzi philosophy is embodied in providing guests with delicious Italian food set in a cozy and comfortable atmosphere. The authentic pasta dishes, delicious wood-fired thin crust pizzas, fresh seafood specials and scrumptious desserts have been pleasing guests for years. With over 11 locations, guests can enjoy the Papa Razzi experience for lunch, dinner, weekend brunch or at home with the full menu available for take-out. At Papa Razzi, guests will enjoy a taste of Italy without the airfare! Our modern Italian trattoria features made-to-order signature pasta dishes, ultra thin-crust pizzas, seafood specials along with our mouth-watering desserts. Guests will also enjoy a Tuscan-inspired Sunday brunch like no other. Whether it be a casual business lunch, cozy dinner for two, or a family gathering...Papa Razzi is the perfect choice.